Meet a Seattle-based designer who is giving an avant-garde update to a previously plain top-of-bed staple. Quilter Season Evans of S.D. Evans and the back side of her Community quilt. Portrait by Mikael Kennedy. Chic quilts are having a moment. 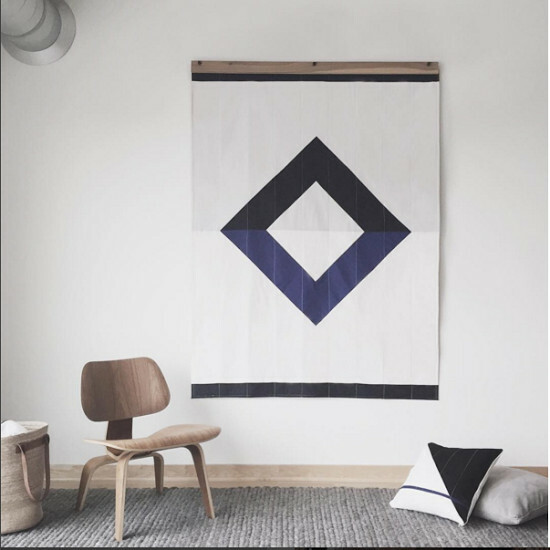 Whether hanging above your favorite bloggers sofa or reappearing in your well-curated Instagram feed, quilts are back – and they’re kinda cool. Formerly mothball-scented plaid patchwork has been traded for contrasting stitches, hand-painted squares and asymmetrical designs. A new guard of cool-girl crafters sit at the helm of this maker movement, reimagining the time-honored tradition into contemporary works of art. 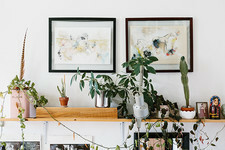 We sit down with one of the trend’s burgeoning talents, Season Evans to get some insight on the needle and thread and see what’s currently hanging on her design wall. I was drawn to the simplicity and the utilitarian functionality of something that was so beautiful. Where did your fascination with traditional quilting come from? I grew up in Pennsylvania and lived there for most of my life. Kutztown University, where I went to school, is in a rural area surrounded by Mennonite and Amish communities. Traditional arts and craft are ingrained in their culture and you couldn’t drive a mile without seeing a “Quilts” sign with an arrow. I was drawn to the simplicity and the utilitarian functionality of something that was so beautiful. It’s minimal and graphic. I avoid curves and stick to straight lines. I enjoy exploring contrast with color and stitching – always starting with an off-white and pulling in a bold red, navy or yellow. Your Instagram is chock-full of crumbling building facades and symmetrical landscapes. Where do you find your inspiration? My work is inspired by place. I’m someone who has moved around a lot – from Philadelphia to Seattle to Brooklyn and now back to Seattle – my environment is very important to me. Quilters tend to see a pattern or quilt in places other might not. Whether it be the color palette of a landscape or a row of brownstones in Brooklyn, I look at it and take it all in. What is a design wall? Quilters typically use what we call a “design wall.” In my studio, this is basically a foam board covered in batting – the middle part of the quilt – where I can stick up pieces of fabric to explore pattern and layout. 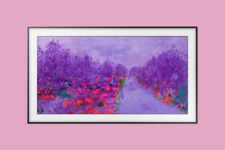 How are you turning folk art into something sleek and contemporary? My process for creating a quilt is very much in line with the traditional craft, I sketch the design, choose the fabric, hand or machine sew the patchwork and bind the two sides. Something that is important to my process is experimentation. I experiment with the reverse side of the quilt, the typically plain side. I usually find what I call a focus fabric which is inspired by the front and I build the back from there. I pull unusual materials, like vintage yukata or Japanese Kimonos and I hand-paint designs on the fabric. I think there is a distance between things that we have and where they’re made, and people want to shorten that distance. It’s about connection to art, other people and cultures. People want to know the story and feel connected to it. 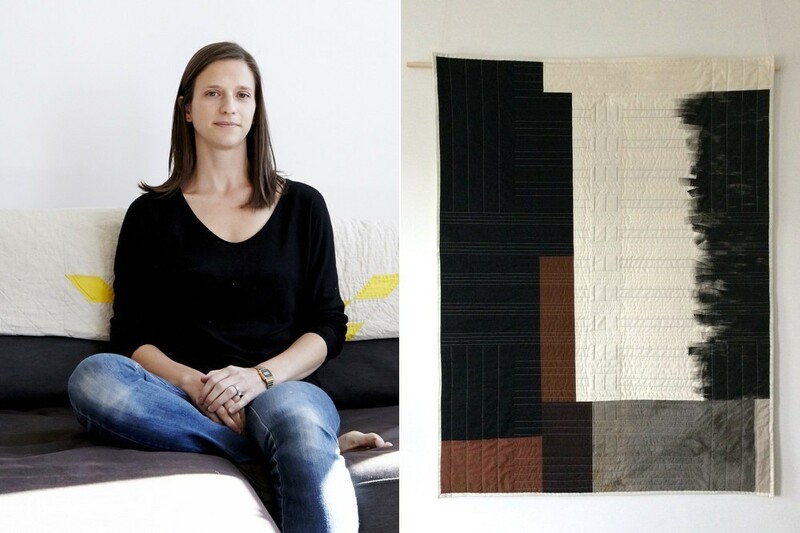 There seems to be a tight community of like-minded artists making quilts. Who do you have your eye on? Oh, the list goes on and on. I would say the community of quilters out there have completely fostered my craft. We all have our own styles and embrace one another. Without that creative community I probably wouldn’t have really gone nearly as deep into my art. 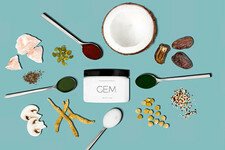 I am loving the work of Lindsay Stead out of Toronto, Maura Ambrose from Austin, and Brooklyn’s Erin Wilson. I also look to the fine art perspective of a quilter like Kathryn Clark. 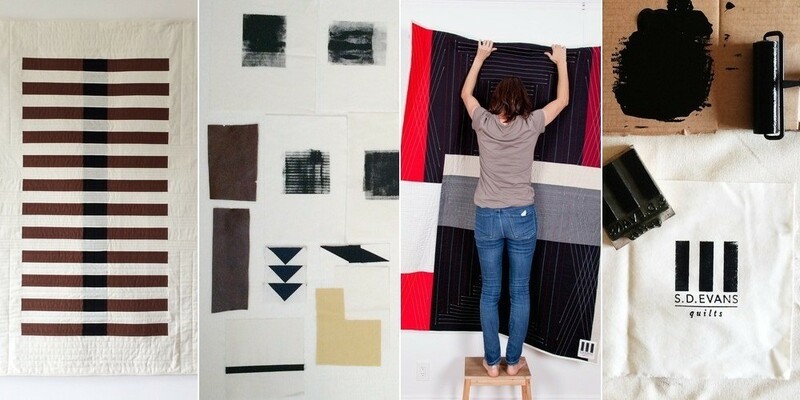 More cool-girl quilters to love. Callahan, also hailing from Seattle, takes on tradition with indigo dyes and all-over pattern. 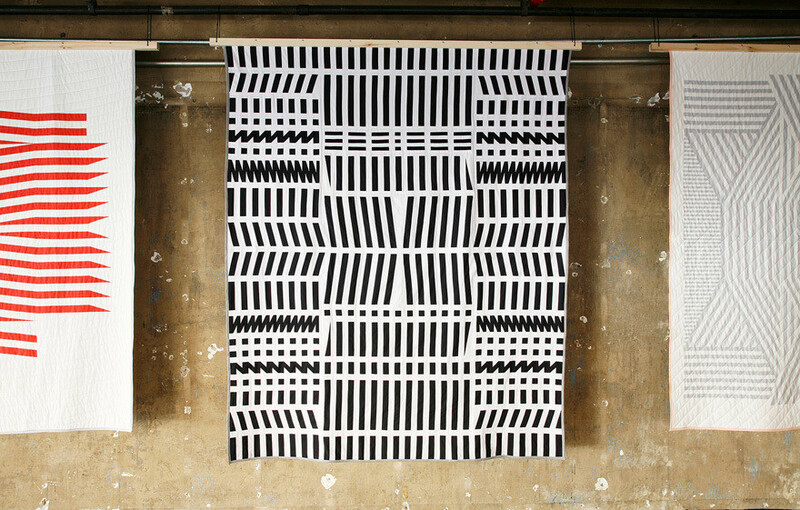 Here is her Harrah quilt at New York City’s Matter. 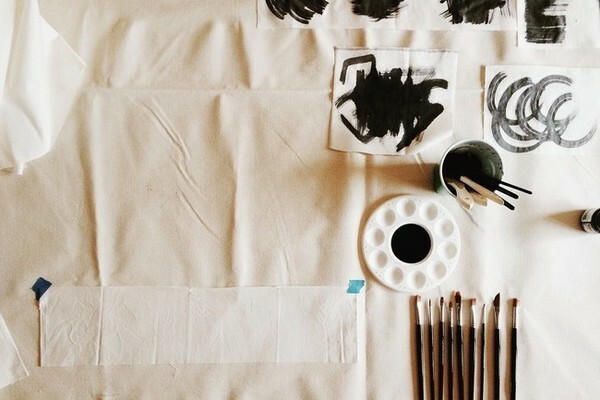 This Minneapolis-based duo has taken their talents to CB2 for an exclusive collection of their signature graphic designs. 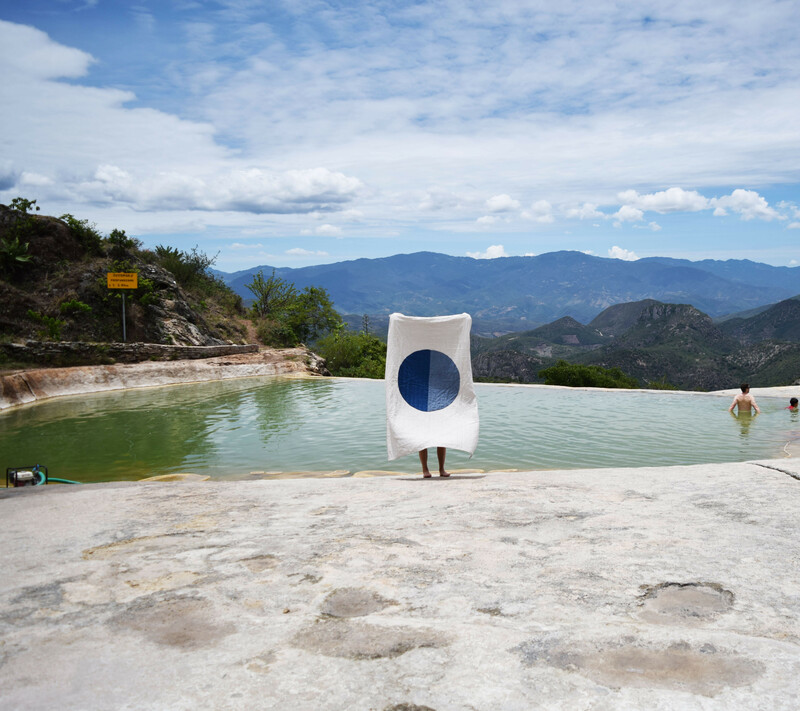 This Brooklyn-based textile maven takes inspiration for her over-sized pattern and dreamy palette from days spent in Oaxaca, Mexico. 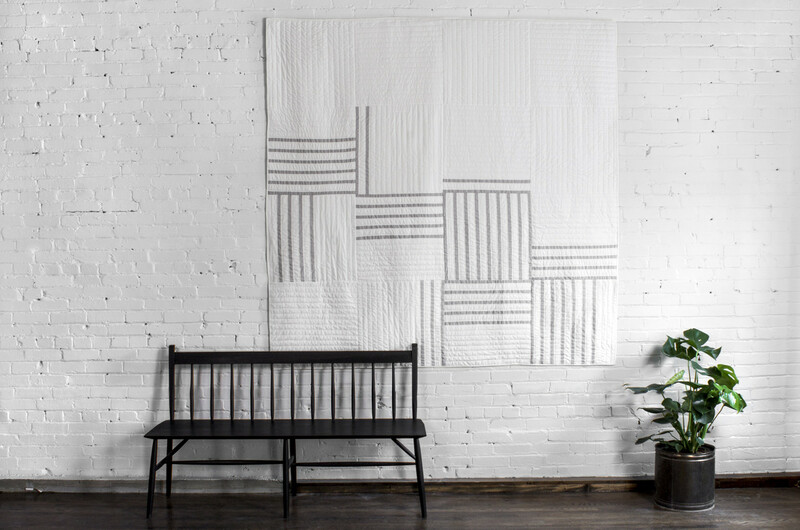 Stead experiments with scale and symmetry to create contemporary pieces from old-fashioned hand quilting.